This is the first article in a three-part monthly series on gamification. Sign up to our newsletter to ensure you get the next article. The digital learning industry is booming and constantly looking for ways to innovate. In an attempt to steer away from the ‘click next to continue’ type of e-learning, gamification is a buzzword that pops up in conversations between Learning and Development practitioners. 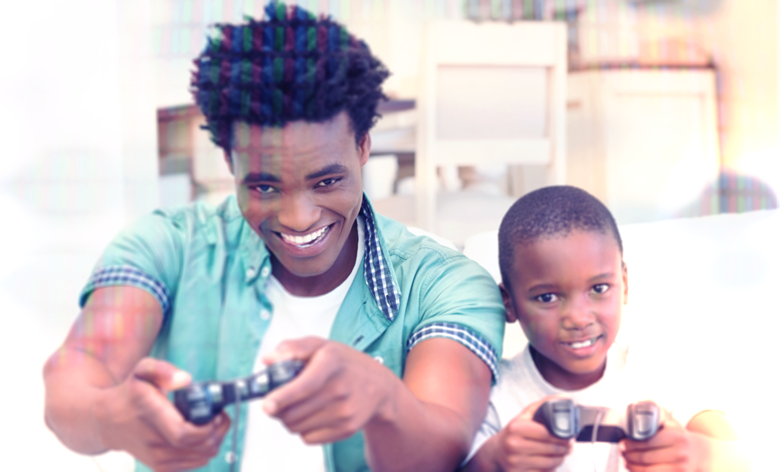 While gaming, or gamification, is particularly interesting from an entertainment perspective, the question remains; to what degree does the gaming experience contribute to the learning experience? Or, in other words: how do we create an experience where learning and gaming enhance each other? It’s important to understand the difference between gaming and gamification. Gaming refers to the concept of playing games. The focus in gaming is on entertainment, and the type of entertainment differs per game. Where one game might focus on winning items (blackjack, slot machines, solitaire), another might focus on group play and collaboration (Hint Hunt or Room Escape, raiding in World of Warcaft), or even on competition (chess, poker). Often, games combine multiple angles to create a certain gaming experience; for example, in Settlers of Catan, there’s a social aspect (trading, building alliances), as well as an individual aspect (gaining as much ground as you can), and balancing these two aspects is what typically creates the gameplay in the game. Gamification refers to the process whereby we use game elements for other types of activities (Werbach and Hunter, 2012). A good example of a successful application of gamification in the South African insurance space is the Discovery Vitality® Active Rewards programme. In the Vitality Rewards programme members weekly accumulate points for exercising. Once a member has reached their weekly goal, they get a reward in the form of a smoothie or coffee. This is a great example of how a game system (points and rewards) can be used in a non-game setting (exercising). Before we get into the detail of how to build a gamification experience, it’s vital to understand why gaming and gamification are such powerful concepts in the (e-)learning space. To better understand that, we need to take one step back and understand and define what good learning entails. In other words: what is considered a good learning experience (what is the outcome), how do we design a good learning experience (instructional design), and what do we require the learner to do in this good learning experience (learning psychology)? Good learning is an extremely subjective matter, so rather than trying to determine the universal aspects of a well (instructionally) designed learning experience, it’s more interesting to understand the underlying learning paradigm. Much research is being done around good learning, but for the sake of this article I’m going to stick with the most dominant learning paradigm: social constructivism. Knowledge is a subjective construct, and learners actively construct knowledge. A learner’s knowledge is represented in mental models, and they differ from learner to learner. Learners explore and assess their mental models with others around them, obtaining feedback and amending their models. Learning preferably is done in a context suitable to the level of the learner. Learning is preferably self-directed, where learners set their own learning goals and direct their own learning process. Games, per definition, are activity based, and they require the player to be in an active mode (do, think, assess, test). Often, in games, you cannot not do something (or doing nothing is a deliberate strategy, such as in poker). Games provide for great feedback, and there’s usually a clear relationship between a user’s strategy, and the effect of that strategy on the gameplay (gain, lose, or no effect). An example of this can be found in Monopoly: a user can decide to randomly buy streets across the game board. However, the game is designed in such a way that it rewards users for collecting all the streets in a city, allowing a user to build property on those streets, instead of just collecting tax on individual streets. Games often provide a rich context, and the game elements contribute to this rich context. In World of Warcraft, you are a hero saving the world. In Settlers of Catan, you’re an adventurer exploring unknown territory. The pieces are roads and houses, and the tiles are the various pieces of the island containing specific resources to build roads and houses. We derive meaning from this context and make choices accordingly. Autonomy and building of competence (Ryan, et. al.) are two important aspects of games that increase player motivation in games. A game such as chess provides players ways to develop a variety of strategies to beat an opponent (autonomy), while building up in complexity over the duration of the game. The more motivated players are, the more engaged they will be in their game. We are eager to use this effect in learning: the more motivated learners are, the better they apply learning strategies and skills, thus the better the learning results . It’s for these (and many more) reasons that games can be used for learning purposes, as they strengthen and foster a specific style of learning, particularly under the constructivist theory. Gamification is a broad concept, and yet to be well-defined by the academic community. Rather than thinking in a dichotomous fashion where it’s either learning or gaming, try to think of the two on opposite sides in a dimension. Some experiences are typical learning experiences, some experiences are typical gaming experiences, but there’s a whole grey area of options in between. The key to designing great gamified learning experiences is to design the experience in such a way that the learning and game elements are aligned.If this doesn’t happen, there’s a chance that the game elements in the learning experience might be perceived as ‘gimmicky’, rather than an authentic experience. We do this by taking a closer look at the game elements, which is done in the next article of this series. Driscoll, Marcy P. Psychology of learning for instruction. 3rd ed. Pearson Education Inc., 2015. Print. Ryan, R.M., Rigby, C.S. & Przybylski, A. Motiv Emot (2006) 30: 344. doi:10.1007/s11031-006-9051-8. Werbach, Kevin and Dan Hunter. For The Win. 1st ed. Philadelphia: Wharton Digital Press, 2012. Print.